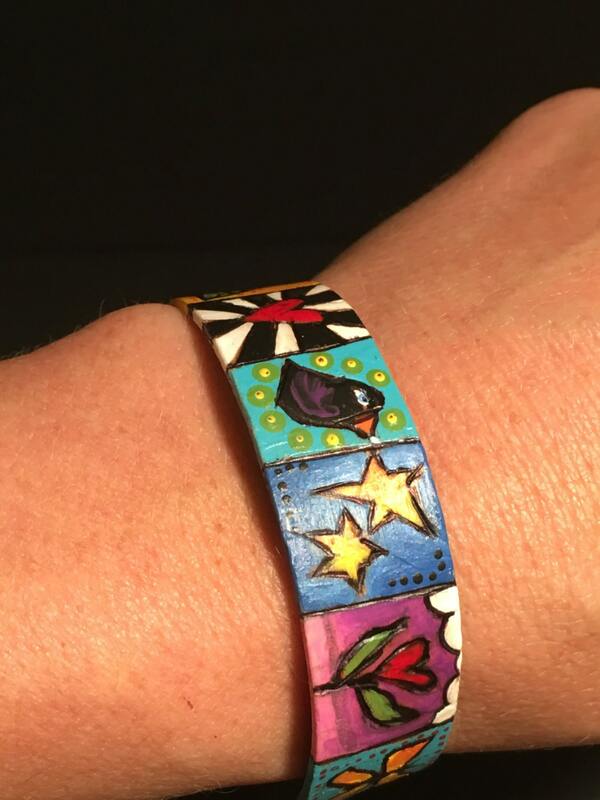 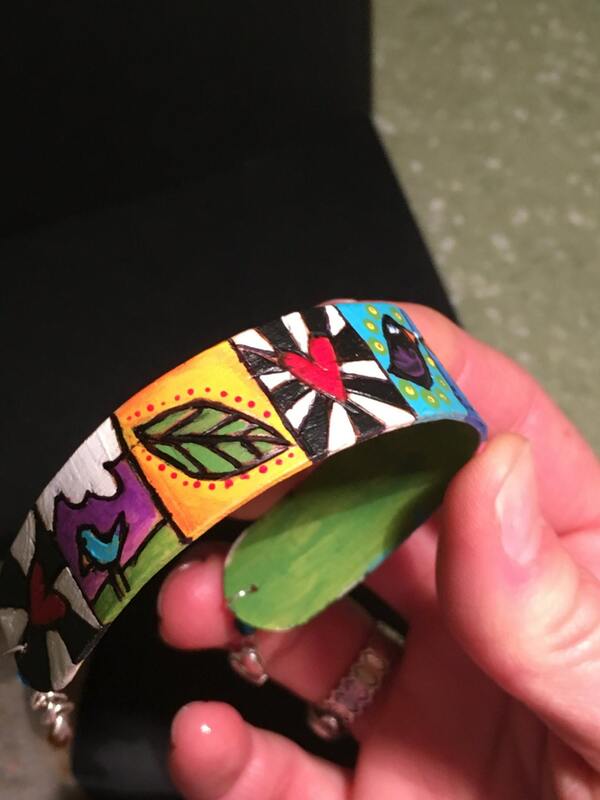 Bracelet "Tale of Two Birds and a Butterfly"
This wooden cuff bracelet was hand formed and wood burned and painted with an original design. 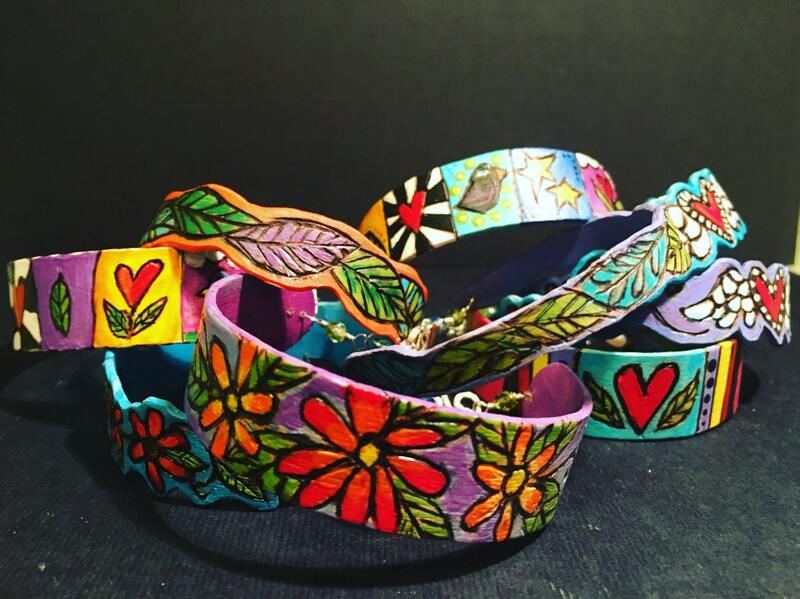 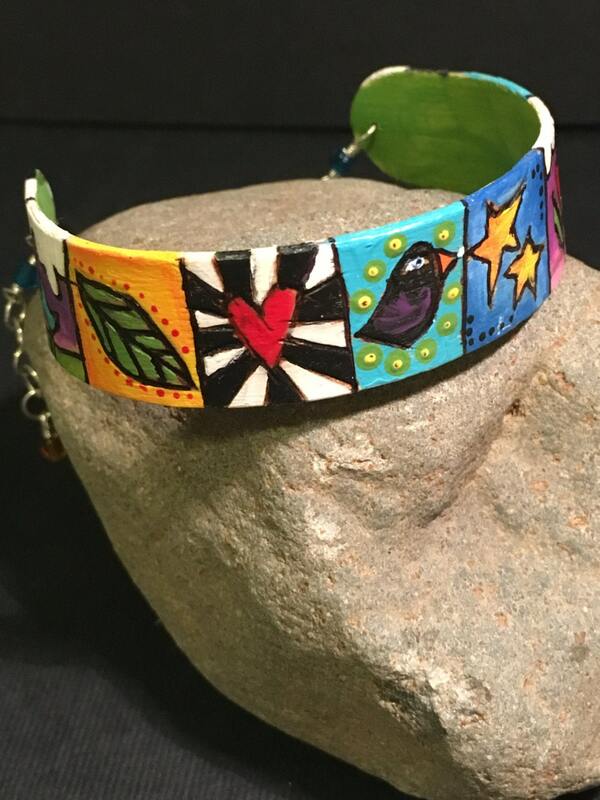 Just like a picture book, this beautiful, eclectic bracelet seems to tell a story of birds, leaves, hearts, butterflies and stars. 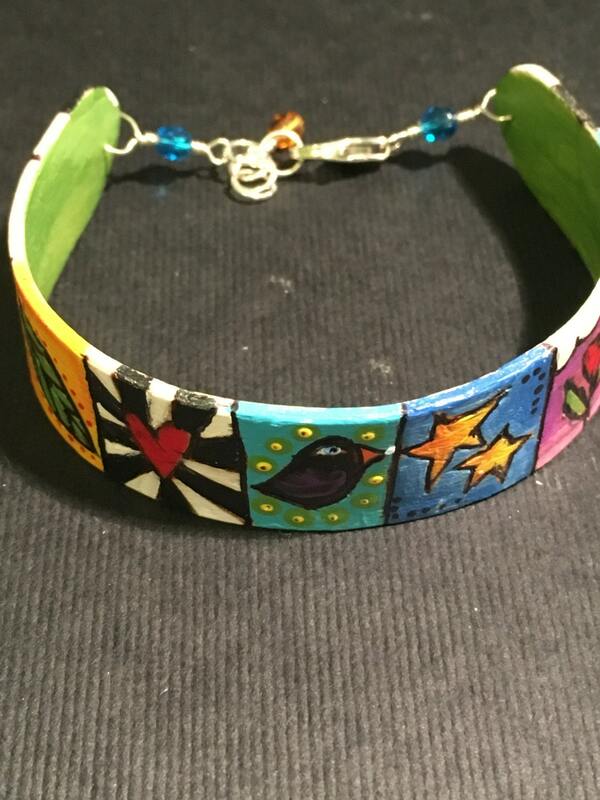 This bracelet's opening is about 1 1/2 inches in width and fits about a to 7 7 1/2 inch wrist with an adjustable sterling silver clasp.